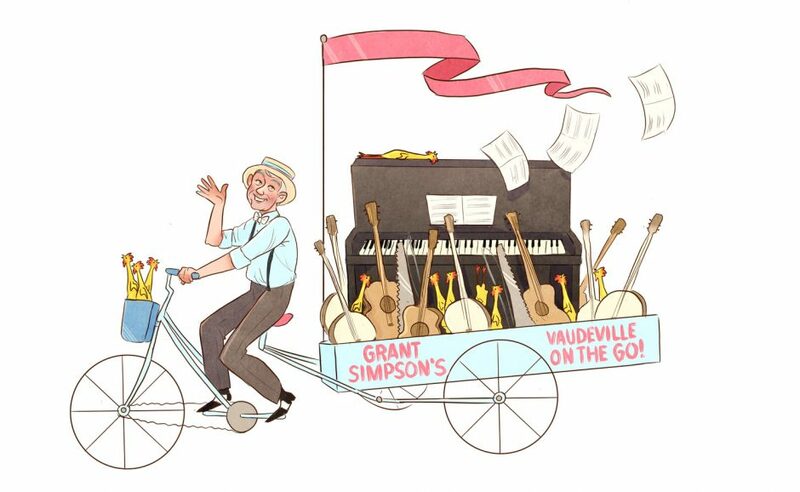 Grant Simpson: Pianist, specializing in the styles of traditional jazz, blues, ragtime, stride, swing and bebop. 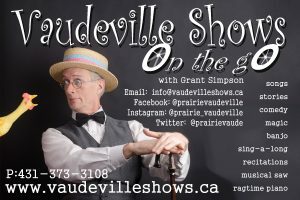 Grant Simpson Vaudeville Productions: Producing full scale vaudeville shows for over 40 years. Grant Simpson Composer: Musical Theatre, Film scores, Music for traditional and modern dance. Historian: Talks and presentations of the history of Vaudeville, the Cancan and Canadian Theatrical History. Podcaster: Founder and Producer of Vaudecasting. Looking at life through the vaudeville lens. Grant Simpson Vocal Coach: The founder of Cafe des Voix. Working with vocalists for over 40 years.